When making connections to multiple points like this, you may find it helpful to use a small piece of Perma-Proto board to join one end of all the wires. Perma-Proto board can be cut with tin snips or a scroll saw; you don’t need the whole board in there. Save the rest for future projects! 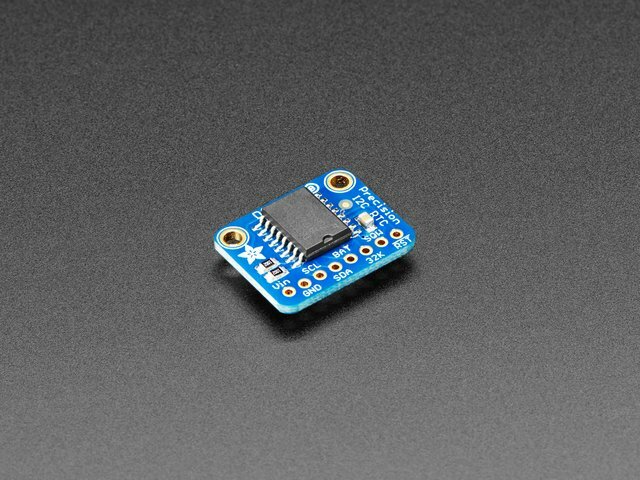 Make sure to use the BUS pin on the Pro Trinket, not the 5V or 3V pin; the LED displays are a bit much for the board’s voltage regulator, so everything’s powered off the USB connection instead. Follow these instructions for guidance on assembling the LED backpacks, making sure the decimal points are properly aligned and the display is on the correct side of the board. 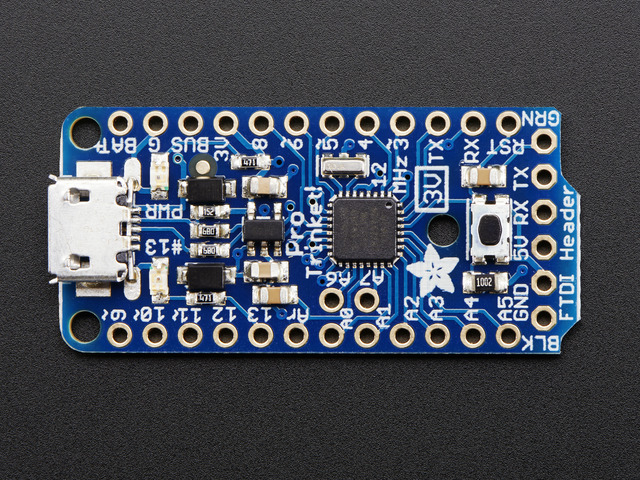 Just don’t add the 4-pin breadboard header, we’ll be wiring up directly. Bridge the “A0” solder pads on one of the two LED backpacks. This will be the “low” four digits, while the un-bridged one will be the “high” digita. Note where the decimal points are and properly align the display to the points on the correct side of the board. Use tape to hold the displays in place before soldering to the backpacks. Make sure the displays are leveled against the backpack and then apply small strips of tape to both sides. Solder all of the pins to the backpack. 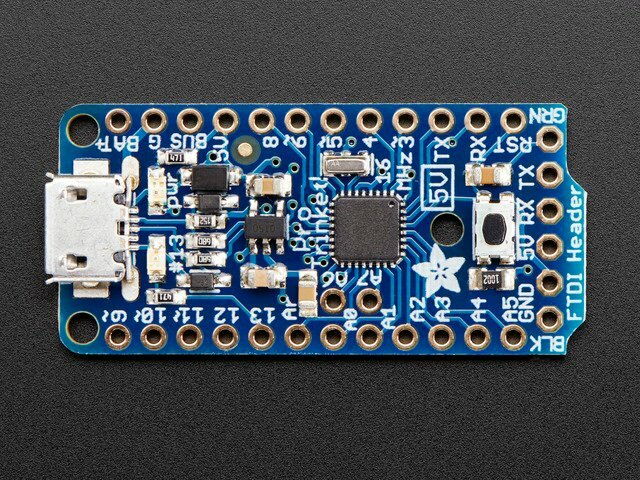 A panavise is super helpful and will allow you angle the boards towards you to easily solder each pin. Once all of the pins are soldered, we'll need to cut the excess off each pin off to fit the board inside the enclosure. Grip each pin with a plier and then use flush cutters to remove each pin. This will prevent the pins from flying everywhere when cutting. Lay out the boards on the enclosure and lid parts so we have a good idea of how long we need each wire to be. Measure the wires with enough slack so we can easy access the boards when we need to change the battery. We can use a flex perma-proto to create a splitter to join wires together. Cut a piece with three connected through holes (the ground or power rails) to build a "T" shaped wire. Insulate the connections with a piece of Kapton tape (Polyimide Tape) to prevent any connections from touching. After all of the splitters are built, solder each wire as shown in the circuit diagram. Solder the breakout boards to the the rest of the circuit. You can use tweezers to hold wires while soldering to each through hole. 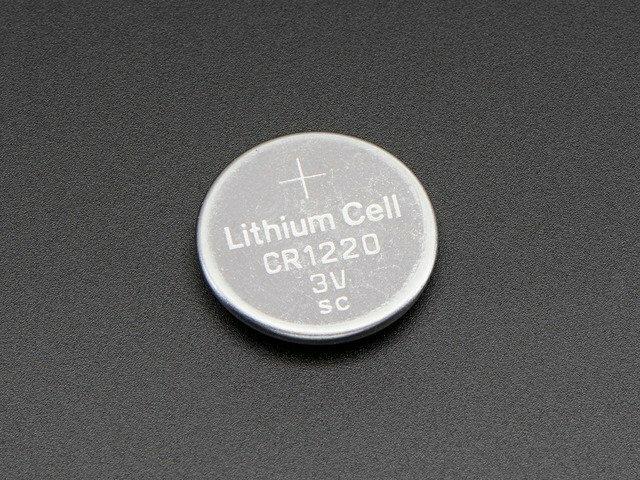 The RTC breakout board uses a 12mm CR1220 coin cell battery. Note the positive side on the Coin Cell Retainer and insert the battery. Bridge the “A0” solder pads on the “low” four digit display, the un-bridged one will be the “high” digits. Align the displays to the standoffs on the enclosure box and the breakout boards to the lid part. Use M2 x .4 x 4mm machine screws to mount all of the displays and boards. The lid part snap fits into the box enclosure. Align the USB cutout on the lid with the port opening on enclosure box to press fit together. 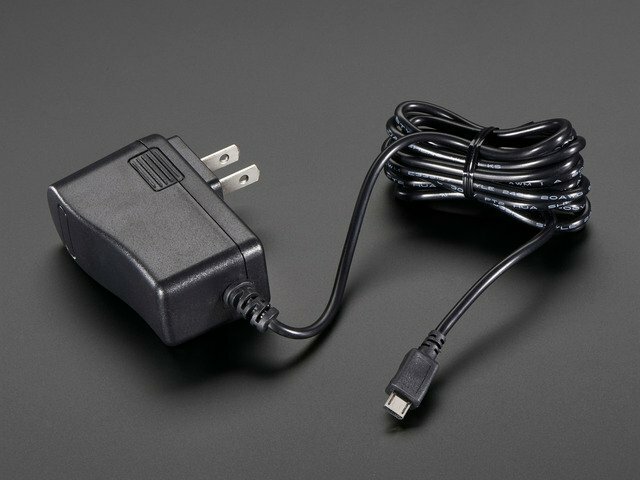 For power, the clock connects to any USB power supply. Now you're ready to add code! This guide was first published on Aug 01, 2016. It was last updated on Aug 01, 2016. This page (Circuit) was last updated on Apr 24, 2019.